Every day, we create 2.5 quintillion bytes of data.1 To put that into perspective, 90 percent of the data in the world today has been created in the last two years alone – and with new devices, sensors and technologies emerging, the data growth rate will likely accelerate even more. 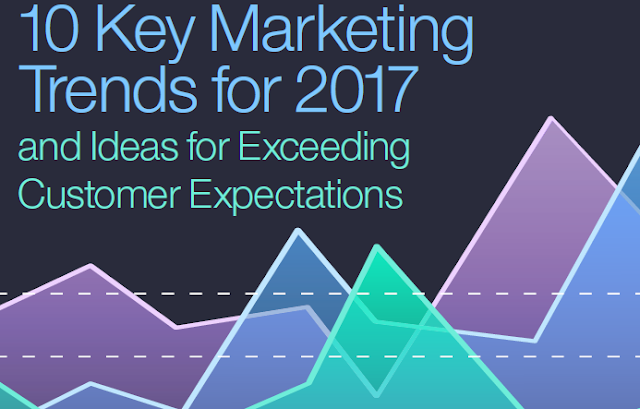 In this white paper, 10 marketing experts from IBM – along with four partners – share their thoughts on the key marketing trends for 2017 with an eye toward keeping you ahead of the shifts that are rapidly transforming the industry and reshaping customer demands. You’ll find entries ranging across channels (mobile, social, email), technologies (cognitive, advertising, analytics) and strategies (customer success, center-brain marketing, buyer journeys).